The Linton Singers are a community choir based in Carlops in the Scottish Borders that draws its membership from a far reaching area. The choir's conductor is Professor Murray Campbell. 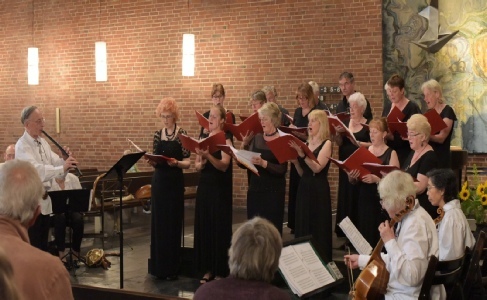 The Linton Singers has a very wide and varied repertoire of music spanning about six centuries. The group has sung in many prestigious venues including Edinburgh and Stirling Castles, Rosslyn Chapel, Kelvingrove Art Gallery, Greyfriars Kirk and St. Magnus Cathedral. The choir have also given concerts in Stockholm, Prague, Paris and Montbeliard in France and Würzburg and Cologne in Germany.